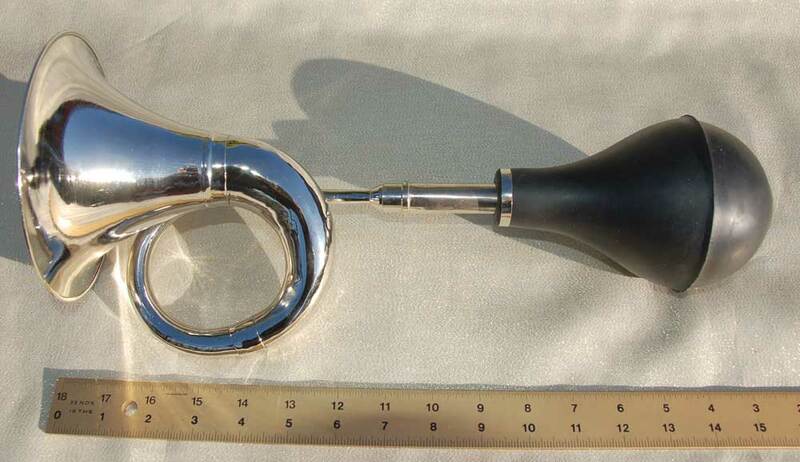 16 Inch Nickel Plated Loop Squeeze Horn Click photo for larger image. I’m actually not positive it’s a nickel coating, but that’s what I was told. Very shiny honker. 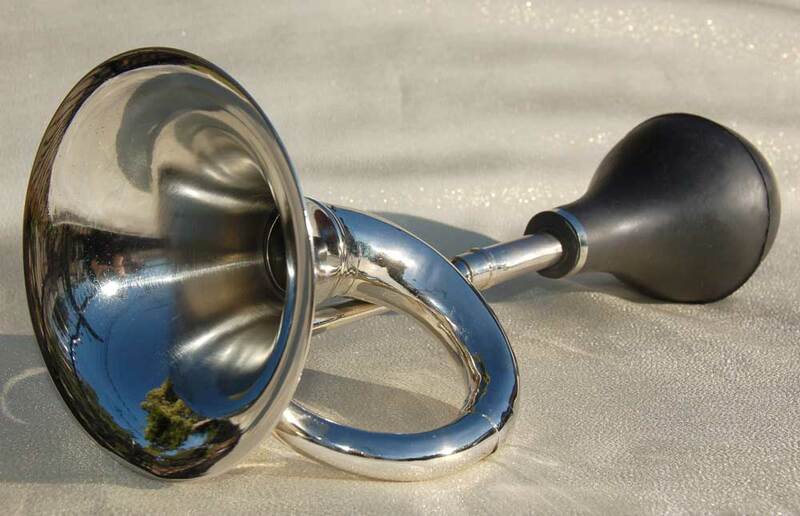 One Big Bell Nickel Plated Squeeze Horn $44. Free US Shipping. Includes 1 attaching bracket.